Privileged location! 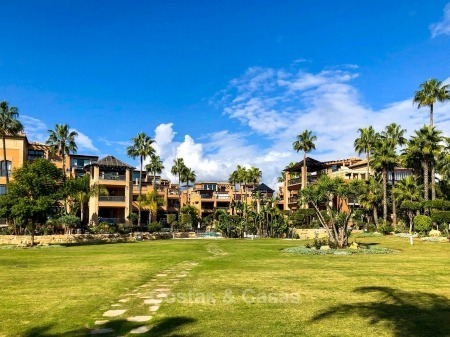 Beachside apartment in a luxury frontline beach complex, directly adjacent to a stylish beach promenade which is scattered with typical fish restaurants and gives direct access to the wide beach. 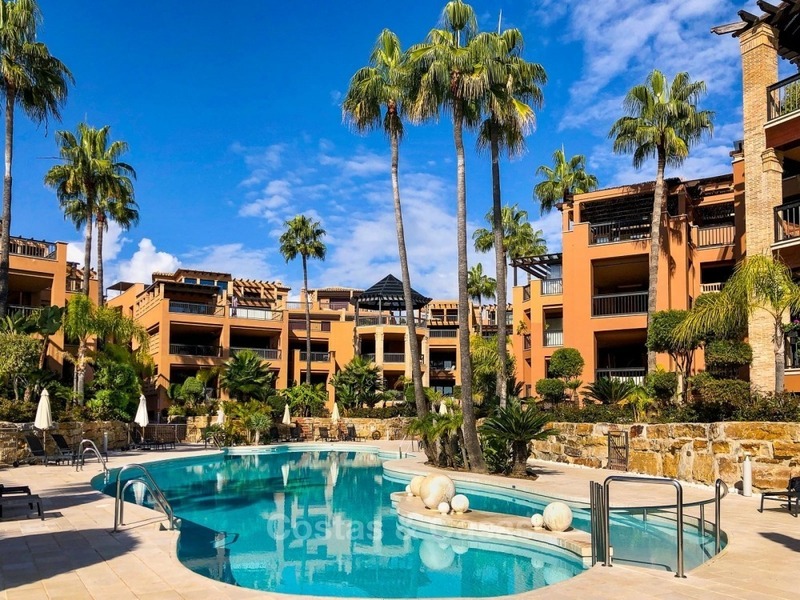 Just a 15-minute walk to the centre of San Pedro, a 30-minute walk to Puerto Banus via the promenade and walking distance to all amenities such as banks, shops, restaurants and a sports centre. Only a 5-minute car journey to Marbella. A magnificent golf club with two 18-hole courses and a nice restaurant is only 1 km away from your property. Beachfront apartment complex of utmost luxury built in Andalusian style. 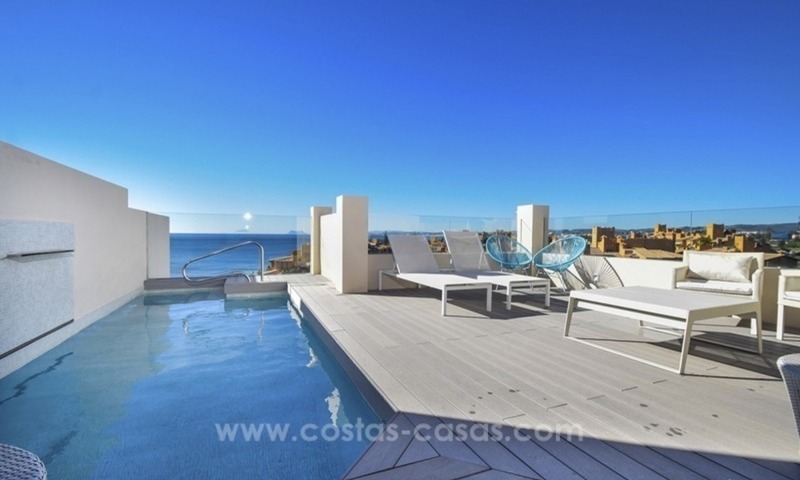 The complex is gated and enjoys 24h security, tropical gardens and a nice communal pool. 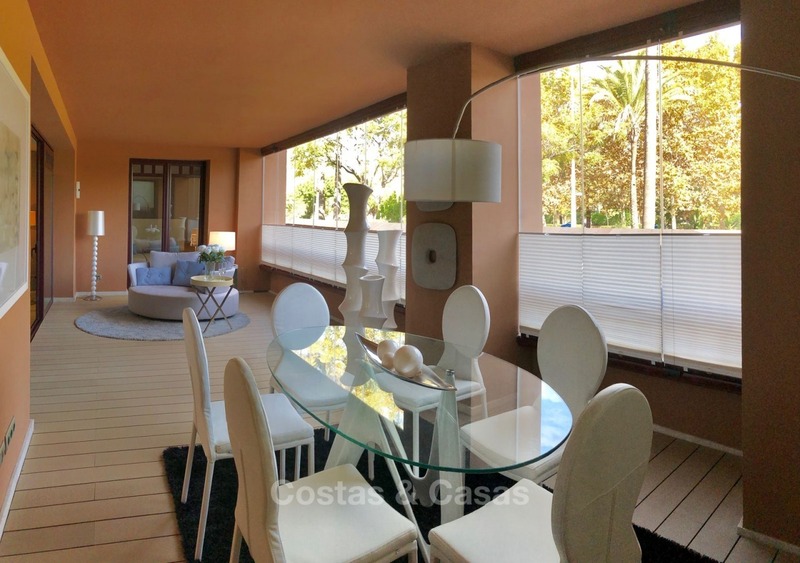 It has direct access to the beautiful beach promenade and the beach. Exceptional opportunity to buy an impeccable 3-bedroom apartment in this complex, at a price considerably lower than the prevailing market price (a 2-bedroom apartment in the same complex currently sells for 100K more than this 3-bedroom apartment). In addition, this attractive price includes all furniture and decorations. 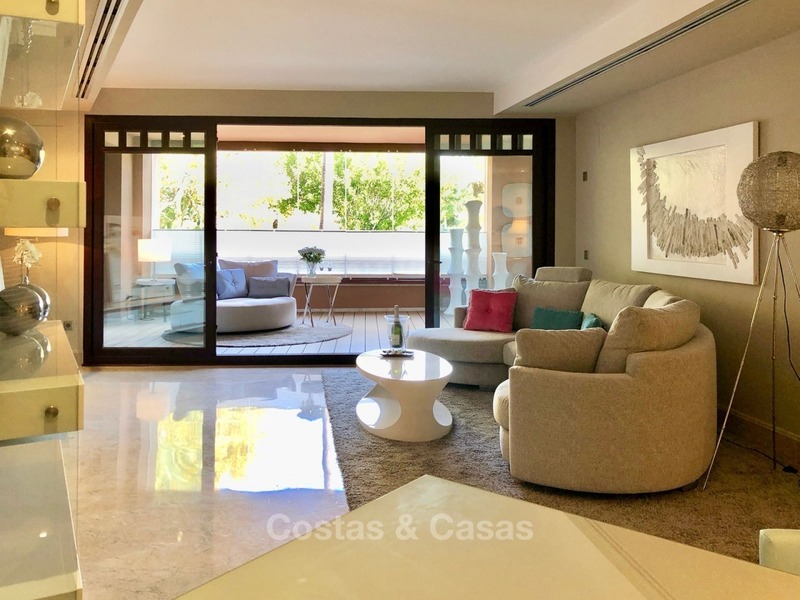 This luxury ground floor apartment is of excellent quality and has marble floors, air conditioning for cooling and heating, fully fitted kitchen, a cosy covered terrace with glass curtains and wooden decking. The apartment comes with a storage room and an indoor garage for 2 cars.